Posted by dr. gonzo in History, National Register of Historic Places. 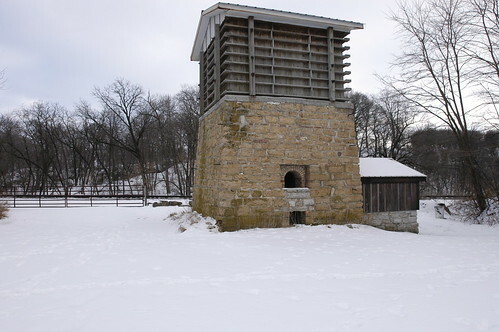 Just outside of the small Ogle County, Illinois city of Polo, if one pays enough attention, there is an immaculate, and restored, 19th century lime kiln. Lime once had many uses, including building mortars, lime was used in the mortars of many of the ancient civilizations. Worldwide, relics of this era dot the countryside and just outside of Polo is a fine example of an 1870s perpetual lime kiln. The lime kiln is one of five properties owned by the Polo Historical Society. The society undertook a restoration between 1992 and 1993 which cost around $10,000 and mainly replaced loose mortar, the deteriorated wooden portions, and cleared away overgrowth and debris. Buffalo Grove Lime Kiln is one of those places you wouldn’t know was there unless someone told you about it, you were a local, or you were very observant. But if you know about it (and are armed with directions from the town librarian), its not hard to find. 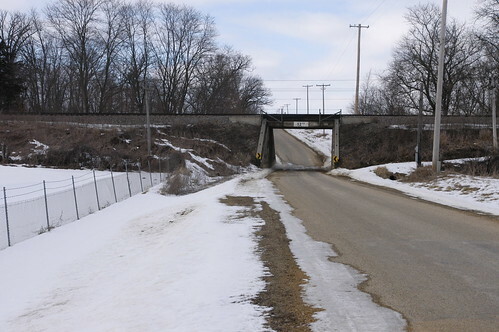 Leave Polo driving west on Dixon Street until you come to the T at Galena Trail Road, where you will see a railroad bridge to your left. The lime kiln is along a dirt road that intersects Galena Trail Road right in front of the railroad bridge. There is a small sign marking the kiln’s location but it’s easy to miss. 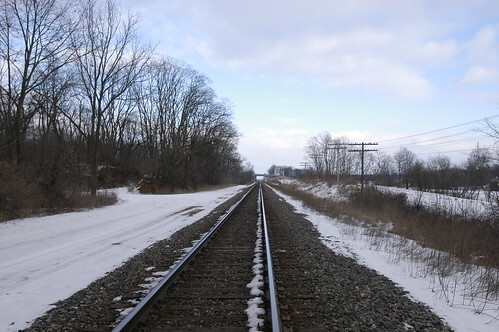 When I went it was late January 2007, there was snow on the ground, and our small car couldn’t make the climb up the incline so we parked on the other side of the railroad bridge, walked around to the dirt road and hoofed it to the lime kiln. After hiking along the railroad tracks, flanked by Buffalo Creek for a quarter to half a mile we reached a clearing in the woods that was an old limestone quarry. Sheer cliffs remained from the excavations about 50 yards away from where the lime kiln stood, in front of the tracks. 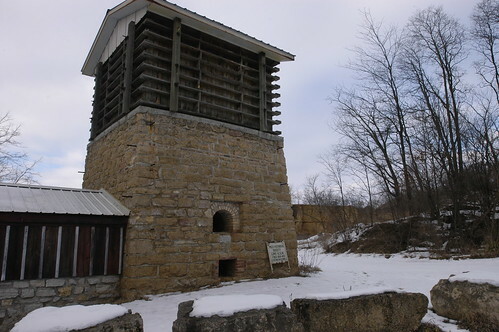 Ten years after the historical society undertook the restoration, the lime kiln was added to the National Register of Historic Places. Tomorrow, war comes to Polo.